I'm no expert but I think your first drawing is problematic because you want your ground on the 1 or 3 lug not the 2 lug. the way drawn it's going to send your entire signal to ground, or it will send the b coil to ground. You also want the ground hitting the b coil and NOT the live signal... so I would put ground on lug 1, b coil on lug 2, and connection to vm on lug 3. hope that helps and note that there is no implied warranty or liklihood of my answer being remotely correct! 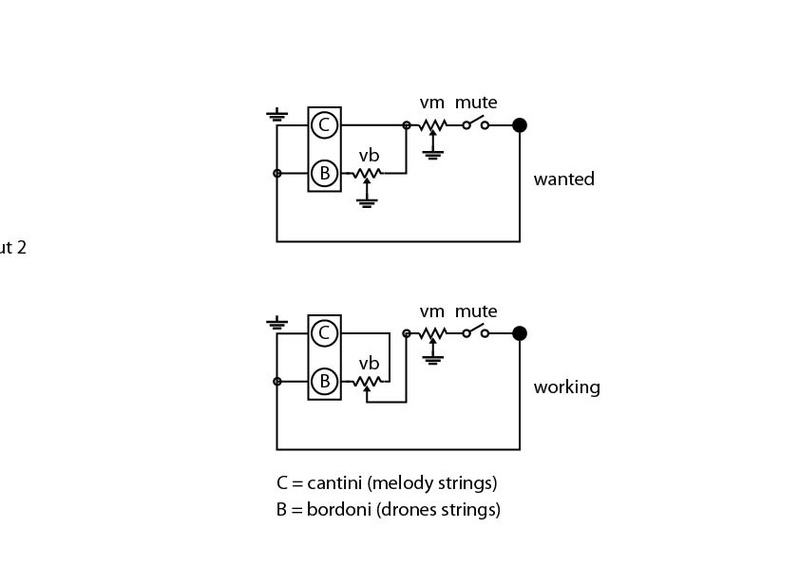 Vb allows the bordoni coil to be variably shunted away to ground, leaving the cantini signal unaffected. Vm then behaves as a master volume affecting both signals overall. 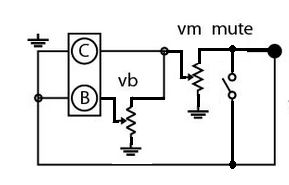 The mute switch will operate better if it shorts the signal to ground, rather than disconnecting the signal from the output as you had it drawn. just to be clear, since i'm newbie at this, the "arrow" is the center pin, right? any advise about the pot values? and: the humbucker tone is a little "darker" than the natural tone of the dulcimer and i saw somewhere that the usual tone pot design (250k pot and .022 or .015 cap) cuts high frequecies. is it possible to cut the low frequencies instead? so, a little problem here: vb pot affects both b and c volumes. between vb and vb there are two other pots (high and low tones controls), then vm, the switch and the jack. all works fine, but while the vm volume works as expected the vb acts weird: full down (so to speak) it's almost ball, then suddendly is something like 50/50, then at full up is almost all c.
maybe a diode between vb out and c can help? You may be asking too much from a single pickup. What's likely happening is that the B coil is also sensing C strings and vice versa. 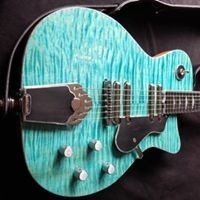 Perfect separation of each signal from one humbucker turned 90 degrees is impossible as the two coils and groups of strings are simply too close to each other. The other thing that may be affecting your expected behaviour is the noise-cancelling nature of the humbucker itself. Perhaps the way you have the humbucker wired you're adding the C strings in-phase and B strings out-of-phase, so that when Vb is fully up you're mixing the two signals to subtract rather than add. Try swapping the connections on the B coil of the humbucker and see if that improves things. The 'correct' way to make this work would be to use a piezo under-saddle pickup with one element per string, each piezo element then being mixed to produce the two groups of B and C string outputs for you to control as you need. But that also increases the cost and circuit complexity by a significant amount. 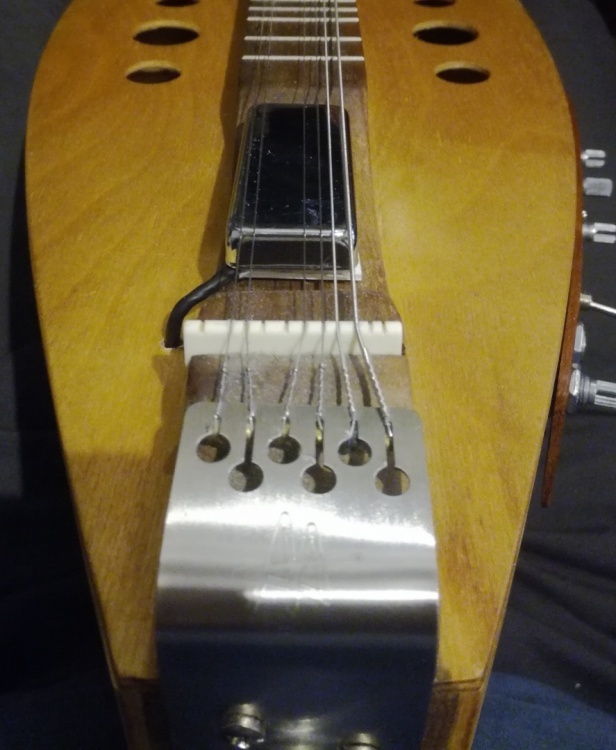 regarding the under-saddle piezo, i thought somethink like what you said: cut the saddle and (somehow) put one piezo under the melody half-saddle and another under the drones, but the luthier that helped me in those "upgrades" told me that one can't cut an under-saddle piezo to a desired lenght... is that true? So. The "project" is done (for now). 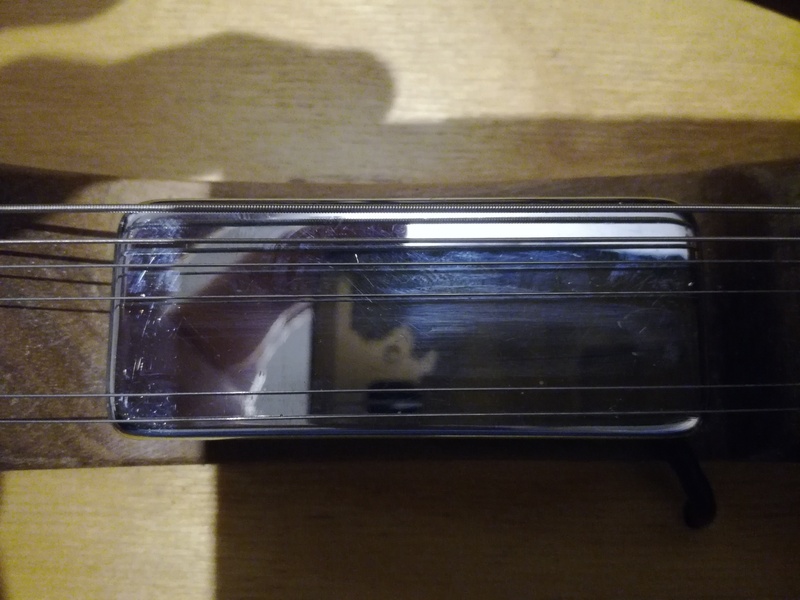 Thanks to curtisa i inverted the humbucker output wiring and now It works, the output goes in a balance pot, then to ptb pots and to a volume pot. I added a second jack out so i can have a "monitor" line and a "out" line with a mute switch.